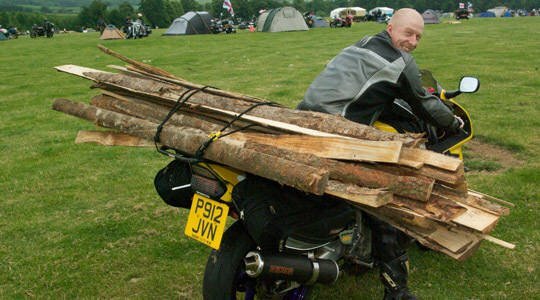 The Despatch Rally is an unique motorcycling event. Unlike a show or a ride-out, the aim of this event is to encourage riders to get out and explore Dorset as part of a military themed competition. For 2019, the event will involve 2 days. Day one is in a single location with a whole host of motorcycle and military related training and games. Day two will be the usual Despatch Rally format for all. Competition with winners announced at BBQ Saturday evening. In honour the despatch motorcycle riders from whom motorbike culture descended, the riders are set loose to explore the various challenges on their own terms using a map and making individual choices. The Despatch Rally celebrates the union of man and machine and is a great chance to cover some miles in the saddle! Nostalgic simplicity is the backbone, promoting map reading, communication and celebrating putting pen to paper. The day will consists of a series of challenges and checkpoints based all over Dorset. Scores are allocated to participants and winners are awarded at the finale rendezvous at the end of the day. Activities include Clay-pigeon shooting, Off road course, Motorcycle control course, Dorset-wide reconnaissance challenge following Serviceman’s map, Dorset-wide despatch message collection following Serviceman’s map. Participants are issued with a ration ride log and serviceman’s map at the HQ containing key information, it’s then up to participants to plan their day accordingly, some are very competitive and want to do all of the challenges, others like to pick and choose a couple. Despatch Rally HQ will close the day’s events with food, drink, live music, raffle and prize giving. Celebrating 41 years of the legendary Mayday Run - possibly the biggest FREE to attend motorbike event in the UK. Upto 46,000 bikers will descend on Hastings, East Sussex, for the annual Mayday Run from Locksbottom in Kent and from all over the country. A massive movement of people with one shared passion - MOTORCYCLES - if you have never seen it, it is spectacular whatever the weather. Over 60 traders and exhibitors covering all the major manufacturers, fantastic kit bargains, great food and giant screen live coverage of the BSB Racing from Oulton Park in our town centre BSB Zone. Check the facebook page for frequent updates. Camping and Static Caravan deals available. bike1066 is proud to work in partnership with Swinton Insurance, Gelato Italia and Armed Forces Bikers. For many years thousands of bikers have visited Hastings every May Day Bank Holiday Monday and now bike1066 is part of that tradition. In 2013 bike1066 Spring Opener became as big as the world famous Isle of Man TT Races. 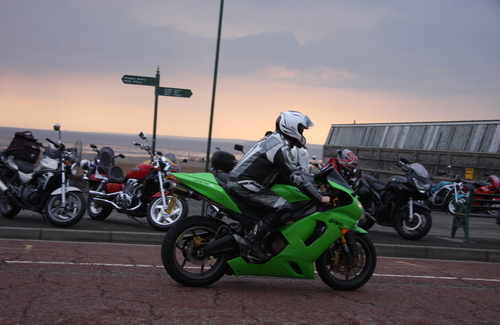 32,000 bikes attended bike1066 in one day while an estimated 34,000 attended the Isle of Man TT. Follow the Blues Brothers car from London to Dorset. Weekend of camping and partying available for those who wish to stay after the ride. The aim is to raise as much money and awareness for the charity as possible. Kick off Sundays Rugby Bike Fest with the Launch Party. The Unresolved and Dirty jACkDC + IBC Rock Disco. price: £5 on the door. Proceeds to This Is Me Coventry. 8th annual event - A return to the 1,070 mile perimeter roads and lanes of Wales. Raising funds for Macmillan Cancer Support wearing the costume of Evel Knievel. Special guests + special stops at Pembrey Circuit, Portmeirion and Anglesey Circuit. Wrexham - Monmouth - Carmarthen - Aberystwyth - Holyhead - Wrexham. price: Entry by raising sponsorship - email for details. www.justgiving.com/cymru2019 to raise your sponsorship. Ensure your sponsors state your full name you as their chosen rider. Full band line up. 60+ Trade Stands including main dealers. Full arena events program. Food and Beer tents. Full Bike Show, Entertainment and rides for kids. price: Day pass, £5 at the gate. Weekend Pass, £20 at the gate and online. Parking right next to the beach on Paignton Promenade. The Motorcycle Action Group Yorkshire proudly presents its first rally of the season. With Bands, DJ's, The Rick Hulse Smacked Arse Comedy Show and ride in bike show. With real ales at pub prices and great food. price: Weekend tickets: £25. Saturday only (limited): £18. Price includes all entertainment and camping. Under 16's free. You can bring your own beer, but no glass on site at all please. The rally is for bikes and trikes, disabled bikers in cars please see the website for details on how to pre-book your car. Please note: No Cars, No Vans, No Pedestrians, No Excuses. This rally is put on by volunteers For Bikers, By Bikers, In aid of Biking. Muddy Mayhem & Madness in Wales. The Taffy Drwg offers trail riding for non enduro motorcycles and their riders. Trail your bike across some of Wales finest green lanes in this motorcycle orienteering weekend. Includes Breakfast, hog roast, bands and a real ale pub location. price: From £65. OTG: From £70. See online for full price list. On the Great Orme and Conwy Road - a large sea front showground. Held in conjunction with the Llandudno Victorian Extravaganza. Costume, vintage fairground and a host of attractions combine in an unique annual celebration of transport and entertainment heritage within the town. The two events are linked by a free shuttle-bus service. price: Adults £7.50 Children £2. Car Park £2. Including car & Bike show throughout the weekend with big motor show on the Monday. Privately owned and club vehicles will be on display in the grounds of Bowood House, full concours will be overseen by an experienced commentator. Also plenty of trade and autojumble stalls, children’s entertainment and quality food and drink options. venue: Bowood House, Derry Hill, Calne, SN11 0LZ. 10am - 4pm. Trophies for various categories, Music, Trad beer, Pies from Pork Farms Trailer, Cakes supplied from Alsager Swans, Raffle. 500+ privately owned and club vehicles on display per day, trade and autojumble stalls, children’s entertainment and quality food and drink options. Follow the Blues Brothers car from London to Dorset. Weekend of camping and partying available for those who wish to stay after the ride. The aim is to raise as much money and awareness for the charity as possible. Details to be confirmed - The National Association for Bikers with a Disability (NABD) invite you to their premier annual fundraising event. 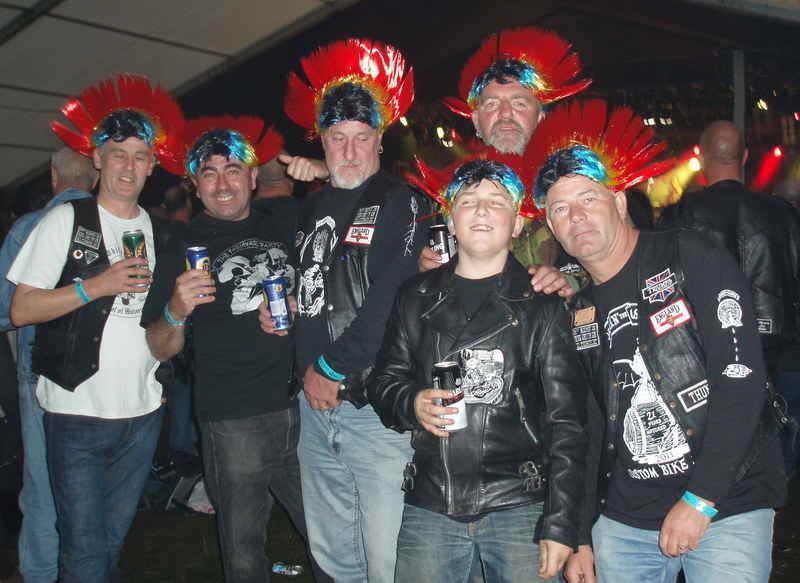 The YBN28 rally will feature; 20 + Live Bands in three marquees, 3 discos, Stand-up Comedy Show, Magician, Bike/Trike Show by 100% Biker magazine, big raffle, entertainment & rides for kids, cheap beer (3 x Bars - including ‘Real Ale’ bar featuring a range of 60 beers and ciders), hot showers, loads of trade stands and lots of other good stuff. You don't have to be an NABD member or a disabled biker to attend this superb event! The rally site (new in 2017) has hard-standing on two sides so it should not be as vulnerable to being churned-up in wet weather as the old Astle Park site was. venue: The Royal Cheshire Showground, Flittogate Lane, Tabley, Knutsford, WA16 0HJ - Directions and other important information. price: Pre-book: £30. OTG: £35. Day tickets (Saturday only) £35 with £20 refund if you leave by 7pm. Accompanied children 14 years or under, free. Car parking £10 (free with disabled badge). Caravan Pass plus a car with a Blue Badge is £20. Caravan Pass plus a Car Pass is £30. Campers, Mobile Homes is £20. Campers, Mobile Homes plus a Blue Badge is £10. Stalls, band, DJ, tattoo artist, food and lots of bikes. Free entry, voluntary donation for Guide dogs for the blind. price: Free entry, donation to Guide dogs for the blind. Live band Exhibit A. DJ. Free brews and toast in the morning for those staying over. Free camping and 24 hour toilets. tel: 07772 482 544. Cars, motor homes and caravans free. Country park venue by the seaside. 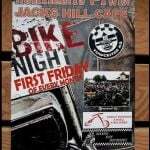 Joanovarc and Hells Bells playing, beer, silly bar games for prizes, charity raffle, huge indoor saloon bar and beer tent, triples for bikes etc, great stalls and varied catering, camp fire, child friendly. The action-packed MCN Festival of Motorcycling Show returns to the Peterborough Arena, bigger and better than before. Packed with latest 2018 bikes (test rides available), hordes of kit and accessories at great show offers, edge-of-your-seat live action, a mammoth autojumble and clubs galore. Save £'s by booking your day or camping ticket in advance. If you are part of a motorcycle club and would like to apply to have a club display at this years festival please contact them via the MCN Festival facebook page. OTG: Weekend Camping £40. Day ticket £19. Caravan or motorhome (cost additional per plot) £20. Additional child camping pass (child 5-15) £10. ? price: OTG: £7 Adults, £6 over 65. Free parking. Undercover stalls and indoor seating area in the huge marquee. Large outdoor Bikejumble with new and used spares, bikes, clothing & accessories for sale. Everything for the classic bike enthusiast. Free BikeMart display-to-sell area for private vendors. Refreshments available, previous events featured local hog roast, toasty sandwiches and real coffee in addition to chips & burgers. Well-behaved dogs on leads welcome. venue: Junction 36 Rural Auction Centre, M6, JUN 36, Crooklands, Cumbria, LA7 7FP. 9am – 1pm. Treasure Hunt Challenge - 25 clues across 6 counties - Choose either a set number of clues to find or miles to ride. Finishing at Masons Arms, Brize Norton for BBQ. Rideout in aid of the Thames Valley Air Ambulance. venue: Start point - Riders have the choice of four starting venues - Banbury, Henley-on-Thames, Tewkesbury or Chippenham. Finishes at Masons Arms, Brize Norton, Carterton, OX18 3NN. Local Accommodation. Kick off Sundays Rugby Bike Fest with the Launch Party. The Unresolved and Dirty jACkDC + IBC Rock Disco. Rugby town centre will echo to the sound of motorbikes and music, as the ‘Rugby BikeFest’ rides into town once again! A free family-friendly bike festival organised by Rugby First and Rugby Borough Council in conjunction with local motorcycling groups, businesses and organisations – a wheelie great day out for all the family in Rugby town centre. Bigger Ride-in, displays of classic and modern bikes, stalls, family entertainment, music and food. price: Free of charge. If you own a Motorbike and would like to join the ‘Ride-in’ all you need do is register your details here. 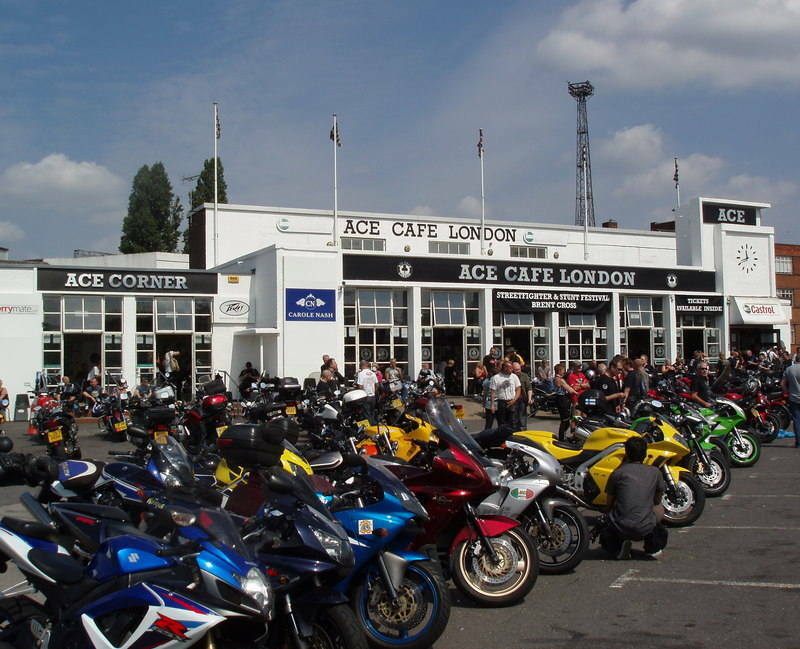 Join Essex & Herts Air Ambulance and over hundreds of bikers on their charity Motorcycle Run. A popular ride, where hundreds of people line the route to cheer you on, along with thousands of spectators at the North Weald Family Fun Day. venue: Start at Hertfordshire Constabulary, Stanborough Road, Welwyn Garden City, Hertfordshire, AL8 6XF, from 8.30am and leaving at 10am. price: £10 - individual rider. £15 for Rider and Pillion. Pre-register to be in with a chance of winning a £500 kit voucher, provided by Bike Stop. Closing date to pre-register is 11th May. Entrance to the Family Fun Day is free, but we do ask our supporters for a donation of £5. Live bands include the mighty nemesis and something else. DJ music by riff-raff. Usual stalls, great food from the tattooed scullery, silly games and a tour thru the tunnels! 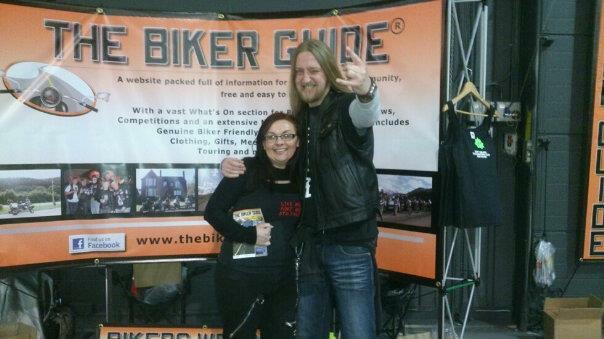 Bike show from Friday till Sunday morning. Proceeds go to NABD. Trikes R Us proudly present the 23rd 'Trikefest'. Entertainment will be running throughout the weekend, Rally Games, lots of stalls, clean showers and bars until late. price: Pre-book: £20. OTG: £25. Children under 14 free when accompanied by paying adult. Cars £10. Blue badge holders free. 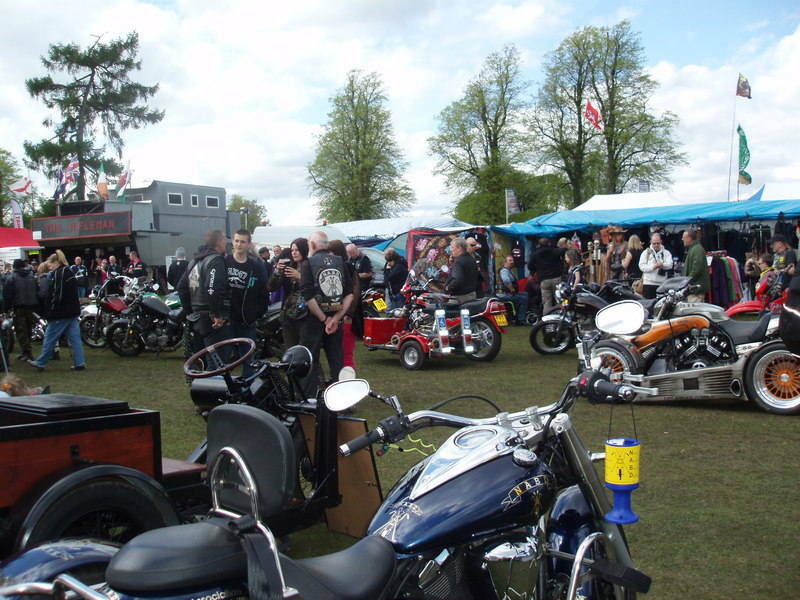 Static Bike Show with trade stands and stalls, with food and the bike show bar and live music. Raising money for for IntaGR8, Devon freewheelers, the bus shelter North Devon and Action for Children. This years show is being opened by BSB Motostar championship rider Jodie Fieldhouse. 400+ privately owned and club vehicles on display, trade and autojumble stalls, children’s entertainment and quality food and drink options. venue: Capesthorne Hall, Macclesfield, Cheshire, SK11 9JY. Opening times: 10am - 4pm. Lancashire's Family Motorshow returns celebrating the diversity of vehicles in a World Tour, all at their home, Nelson & Colne College. There will be dedicated zones for each of the major vehicle producing nations so you can enjoy American Muscle, the creativity and power of the Japanese , the flair of Italians, the engineering prowess of the Germans, Quintessential British-ness and of course the joie de vivre of the French. Plus as many other countries as we can demonstrate will be there for you to explore. This will be complimented by food from all over the world. New for 2019 is the Live Arena - showcasing some of the star vehicles and owner interviews, plus entertainment and more to be announced. On top of this the ever popular range around 250 vehicles of all types from bikes and supercars to classic cars and commercials. The aim of the show is to raise money for good causes, with profits from show going to St Rocco's Hospice and the Outcry Theatre Company. price: £5. Accompanied under 12's Free. All vehicles to be pre-booked with the exception of bikes depending on space left on the day. Annual fundraiser for Erskine veterans charity now in its 13th year. Parade of motorbikes, trikes, scooters & mopeds. Led into the grounds by pipe band. Live music, food, Ardblair Stones rest of strength, funfair, bike stalls, craft fair, birds of prey and much more. 1000+ 2/3 wheeled vehicles attended in 2017 along with 7000 non-bikers. All welcome. Fundraiser for Erskine veterans charity, taking place within the veterans’ back garden. price: £5 donation per bike/trike/scooter. £2 per adult. Free for children. Car parking off site with free shuttle bus. The Rotary club of Sowerby Bridge (RCoSB) 5th annual Classic Bike and scooter show promises to be bigger and better than before. Classic Bike and Scooter show, trophies for 19 class winners, best in show, etc. Trade and side shows, raffle, hog roast and refreshments. Farmers Market, rock 'n' roll road show. All hard standing, reserved parking for trailers, free all day cinema, ample parking for road bikes. Grand Classic Bike Show Raffle, with proceeds from the raffle and the event itself are to go to Rotary charities including Age (UK) Calderdale & Kirkless, and Calder Valley Search & Rescue Team (CVRST). The uniqueness of this event is that it is a pure bike and scooter show making it one of the few in the area, with more classes than any other show (for example there are 2 classes of Japanese bike (2 stroke and 4 stroke). Every class winner receives a trophy as well as the overall best in show. The show is increasingly attracting pre 1950 bikes and there are 3 pre First World War Harley-Davidsons are expected to be exhibited. We have previously exhibited a Brough Superior, one of the most expensive bikes in the world. The hard standing historic surroundings of the Wharf and the Rochdale canal make this event even more atmospheric. price: Pre-book: £5 until the week before. OTG: £6 for bikes. General public entry - £5, under 12's free. You don't have to be an NABD member or a disabled biker to attend this superb event! The rally site has hard-standing on two sides so it should not be as vulnerable to being churned-up in wet weather as the old Astle Park site was. venue: The Royal Cheshire Showground, Flittogate Lane, Tabley, Knutsford, WA16 0HJ - Venue Directions and other important information.